Of course it’s pretty vital that a conductor has an overall sense of a work. A composer’s (sometimes!) carefully constructed opus – a climax here, rest points there – can easily be wrecked by maladroit stick waving and/or misplaced peaks or troughs. So, if there’s no handy composer around to ask (they’re pretty often dead); and, while listening to other interpretations can be a help or hindrance; studying the score is absolutely de rigueur. The first people you have to convince of the ‘rightness’ of your vision of the piece are frequently your toughest critics: the orchestra. 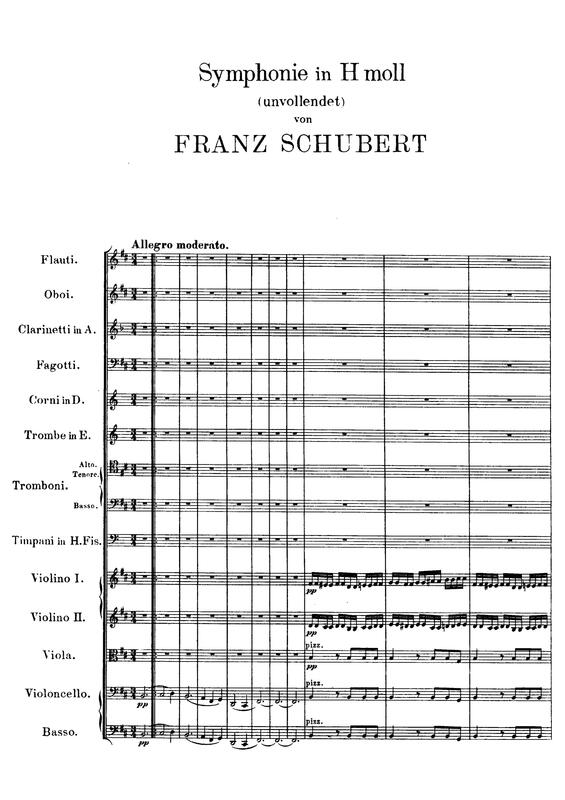 If it’s standard repertoire (see the Schubert above) many of them will have played the piece many, many times; it’s the coupling of an in-depth knowledge of the work and having something to say about the music that will keep them on your side. This entry was posted in Classical music, Conductors, Orchestral, Symphony and tagged Conductors, Schubert, Score, Unfinished. Bookmark the permalink.